The more we work with younger gamers, the more we realize that a.) we’re getting old, and b.) they don’t understand the sorts of things we went through in the 80s and 90s, particularly when it comes to handhelds. Mention the Atari Lynx and we get blank stares. Talk about attaching a Super Wide Gear to a Sega Game Gear to magnify screen size and we might as well speak another language. Sure, they grew up with the Game Boy Color, but quickly moved on to greener pastures with Game Boy Advance, DS and 3DS before enjoying games on big screen tablets. With this in mind, humor the old people and check out these portable gaming hardships. Of course, if you’re as old as we are (or older), you remember these all too well. 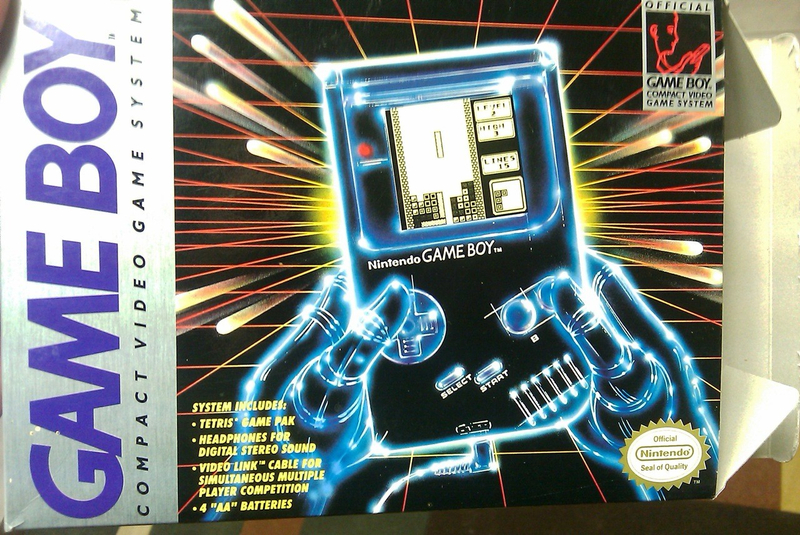 We used Nintendo’s Game Boy in this photo because it’s all we had, but it’s a champ when it comes to battery life. The original system takes four AAs and lasts in excess of 10 hours, while the slimmer Game Boy Pocket only needs two; naturally, the fact that each system lacks a backlight made such battery life possible. When it comes to Sega’s Game Gear and the Atari Lynx, however, both systems need six AA batteries that generate only four-to-six hours of power. Back in the 90s we knew this was a serious drawback to both systems but more or less dealt with it, simply because full color and backlit systems needed the juice. These days, we can’t fathom tossing six batteries into the garbage after five hours of game time, especially considering the cost. What a waste! Today, many devices like the 3DS and iPad use internal batteries (not Android of course), and while you need to be mindful of charging, you’ll get more than six hours playing games on a higher definition (and larger) display. While on the subject of screen size, here’s the next point. If you think gaming on an iPhone 5s is difficult, try playing titles on the original Game Boy’s 2.6-inch diagonal screen without a backlight. Want to play in the dark? Buy an optional accessory? Care to rest the system in your lap? Hold it up to your face to make out the details. Competitors (again, Game Gear and Lynx) featured bigger screens, but as we mentioned, the tradeoff in size and clarity came at the expense of battery life. There’s literally no comparison between these systems and an iPad Air or Galaxy S5. Years ago, we’d argue at school about screen resolution and max colors like it mattered. Case in point, the Game Gear having an available color palette of 4,096 (32 on-screen at once) versus an estimated four shades of grey on the Game Boy; on the console side, the Genesis had a 512 color palette versus the Super Nintendo’s 32,768, which was a much bigger deal. There was also screen flickering to deal with. Our poor eyes! Contrast that with an iPad Air. How many colors does it have? Oh we don’t know, all of them? In all fairness, handheld carts were always convenient to carry and smaller than console games. Back in the day, though, you couldn’t download full retail releases (or anything, for that matter) onto an SD card. Instead, you had to buy a rather large carrying case to hold the system, several games, batteries and various accessories. If you owned 10 Game Boy titles and the carrying case held six, that meant making the tough decision of figuring out which games you wanted to take, or packing the rest elsewhere and risking the chance of losing them. Now you can store a wealth of content on a 32 GB SD card inside your 3DS. You literally don’t have to carry anything except the system and a charger. Naturally if you’re a collector, you most likely prefer physical copies of games, but the option to go purely digital is there, a luxury we never had in the 90s and even early 00s. Building on our last point, there was no such thing as PlayStation Network or the 3DS eShop in 1996. You couldn’t watch the newest game trailers or download demos to try before you buyed. Granted, we didn’t know what we were missing, and the best we could do was the optional TV Tuner for the Game Gear, which let us watch a limited number of channels at the expense of a peripheral with an obnoxiously long atenna; cool at the time. Don't get us wrong. It wasn't all bad. We had some amazing portable games across these systems. Then there's the Zelda rap. Watch it, love it. Hear about the latest Pokémon Omega Ruby and Pokémon Alpha Sapphire guides, exclusive content, and amazing offers! How to find all of the Mega Stones in the new Pokémon 3DS games. Take your Pokémon skills to the next level with Mega Stones, defensive moves and more!